, would be rolling out to additional cities. Now business owners in San Jose, Houston, Austin, Atlanta, Washington DC, San Diego, Seattle, Boulder, Chicago, San Francisco and Mountain View can sign up for Tags from their Google Places accounts. You’ll notice that we’ve added Mountain View, CA to the list of cities participating in the trial. Because we are still tweaking the product a bit, we thought we’d make it available in our hometown so we can get quick feedback as we work on new features. For those who are not yet familiar with Tags, for a $25/month flat fee businesses can opt to add a yellow tag to their Google Places listing that highlights a particular aspect of their business. The tag options today include coupons, photos, videos, menu, reservation, website, and driving directions. In a couple of weeks we will launch a new tag type: “post to your Place Page,” a freeform text field in which a business owner can highlight a custom message announcing a sale or an upcoming event. 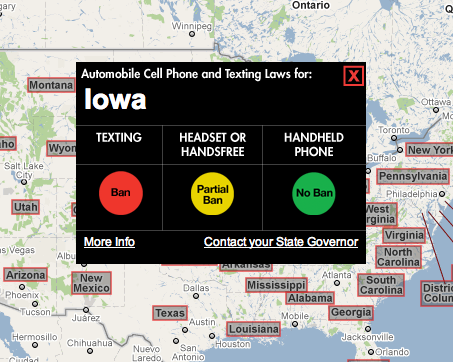 Last week we announced that our new ads offering, Tags, would be rolling out to additional cities. Now business owners in San Jose, Houston, Austin, Atlanta, Washington DC, San Diego, Seattle, Boulder, Chicago, San Francisco and Mountain View can sign up for Tags from their Google Places accounts. 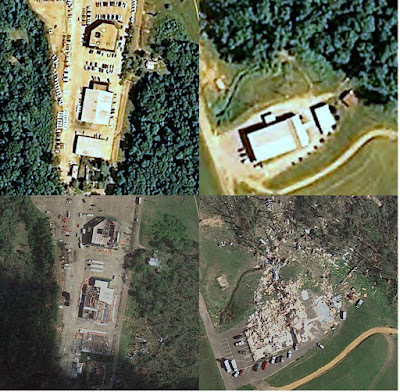 For a complete picture of where we updated imagery, check out the Google Earth plug-in below (updated areas highlighted in red). 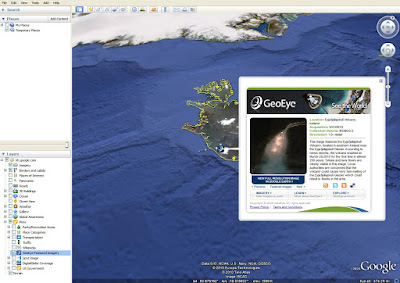 Alternatively, you can download this KML for viewing in Google Earth, or you view the updates in Google Maps. This is the second post in our Small Business series about entrepreneurship and the various Google tools you can use to establish and improve your business presence on the Internet. Here, you’ll learn how Google Places (formerly called the Local Business Center) can help you attract and be discovered by customers in your area for free. -Ed. As a local business owner, one of the things that sets you apart is your ability to make personal connections with your customers because of your passion for what you do. Letting people know who you are and what your business is about is a vital part of finding customers, building lasting relationships with them and helping your business succeed. Google Placeshelps business owners like you to manage your online presence and supplement your Place Page with all the information that helps people decide to visit you — from basics like hours of operation and address to helpful extras like videos, coupons and special announcements. 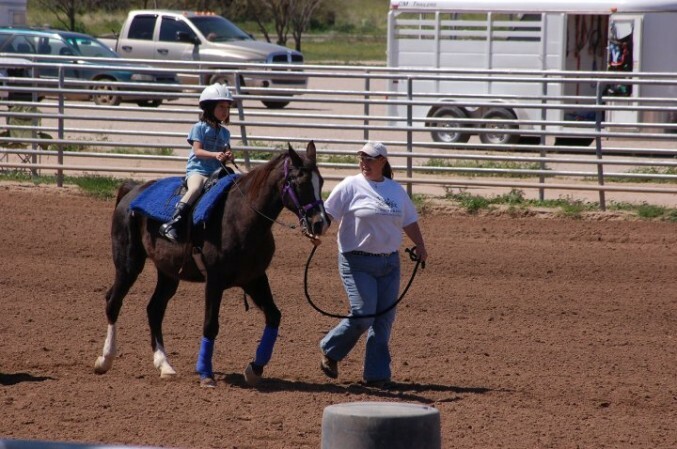 I first began riding horses at age six. Ever since then I knew that I wanted to spend my life working with horses and sharing my passion with others. 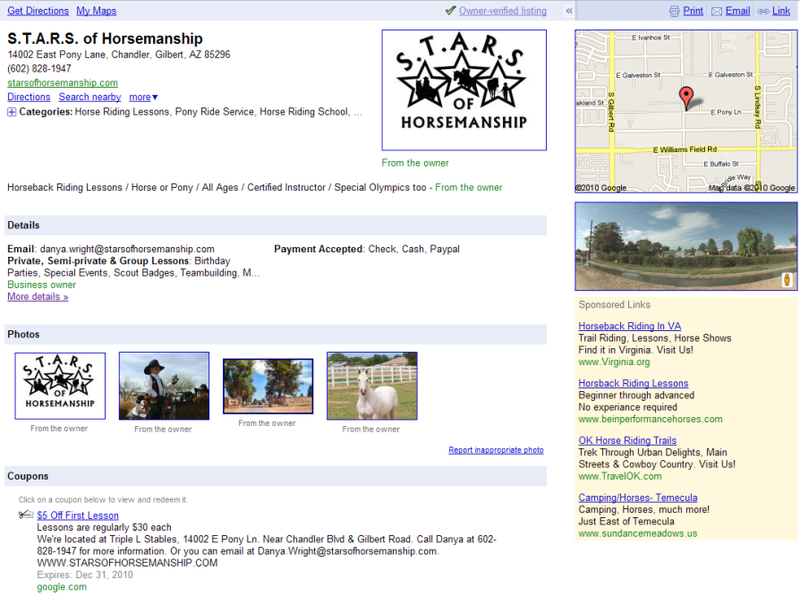 I had jobs working for several barns and riding programs around Arizona, but always dreamed of having a school of my own. Two years ago, I finally realized my dream and opened Specialized Training and Riding School — S.T.A.R.S. of Horsemanship. 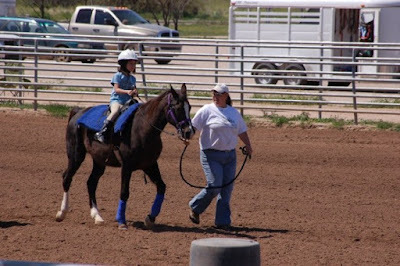 At S.T.A.R.S., we offer lessons to riders of all ages and skill levels, provide therapeutic horse training services for those with disabilities, and train Special Olympics riders. Our property is a 10-acre scenic environment for our students and horses. But because we’re located in a rural area ofGilbert, AZ, this also presents a big challenge: I don’t have the advantage of “window shoppers” or drive-by traffic. Without a storefront, those who do pass by may not realize that my stable is open to customers. Whenever I want to find a local business, Google Maps is my resource, so I wanted to make sure my business appears there too. I did a little research and quickly found Google Places (which was known as Local Business Center when I first signed up). Within a few minutes, I was able to update theS.T.A.R.S. Place Page to add key details about my business, like exact location and contact information. And I could mention the special services we offer like group classes, private lessons, birthday parties, Scouting events, parent-child sessions and so on. Now when a company’s looking specifically for a team-building venue, they can find my business easily. Since avid equestrians can be quite particular about facility details, I wanted to make sure that my Place Page included all of the specialized information that’s relevant to my target clients. Now when you search on Google, you can be taken to our Place Page to see photos that offer preview of our stables and even meet Salty, one of the horses. You can also find a coupon to help provide a little extra incentive to come try out our lessons if you’re new to horseback riding. Since I started using Google Places six months ago, my business has grown tenfold from what it was before — I’ve gone from averaging around 10 to 15 students to now serving more than 100. To be honest, I had just figured that new customers would trickle in over time, but it’s boomed far beyond my expectations. And now I can spend more time with horses and riders, and less at the computer! The map of Canada is constantly changing - new roads are being built, highways are being renamed, and bike trails are opening. To keep up with all these changes, we've started using new map data in Canada. 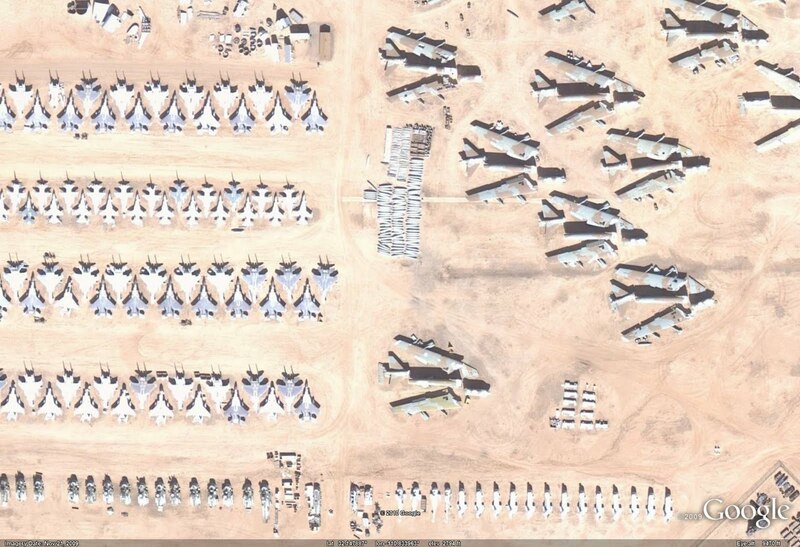 This new base map is built from a wide range of sources, just as we recently announced for the US in October. In Canada, we've made use of data from organizations such as the National Hydrography Network and Canadian Council on Geomatics. 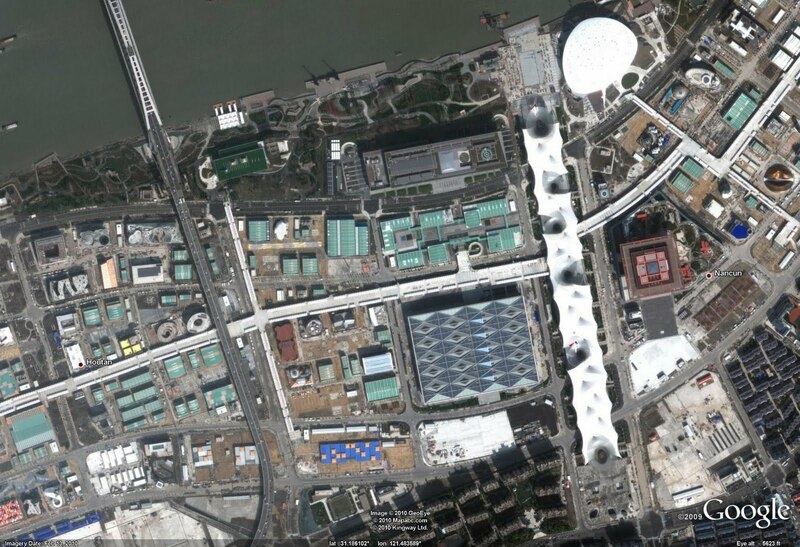 Once again things like satellite imagery and Street View were also helpful to make a rich, thorough base map. You may notice some changes like seeing a full map of your former campus, but overall the look and feel of Google Maps will be pretty similar to what you're used to. One of the biggest changes is that now you can give us direct feedback about our map of Canada - let's say a new park has just opened in your neighborhood. You'll notice a link that says "Report a Problem" in the lower right corner of Google Maps when you're looking at Canada, which will let you send your updates and feedback directly to us. We'll review it as soon as possible and keep you posted on the status of your report. We want our map to be as up-to-date as possible and reflect what's important to you, and we think these changes will help us with that goal. La carte du Canada est en constante évolution : de nouvelles routes sont construites, des autoroutes sont rebaptisées et de nouvelles pistes cyclables sont aménagées. Afin de tenir compte de ces changements, nous avons commencé à utiliser de nouvelles données cartographiques pour le Canada. Cette nouvelle carte a été assemblée à partir d’un large éventail de sources, comme celles utilisées dans le cas des États-Unis (annonce effectuée en octobre). Au Canada, nous avons recueilli des données auprès d’organisations comme le Réseau hydro national et le Conseil canadien de géomatique. 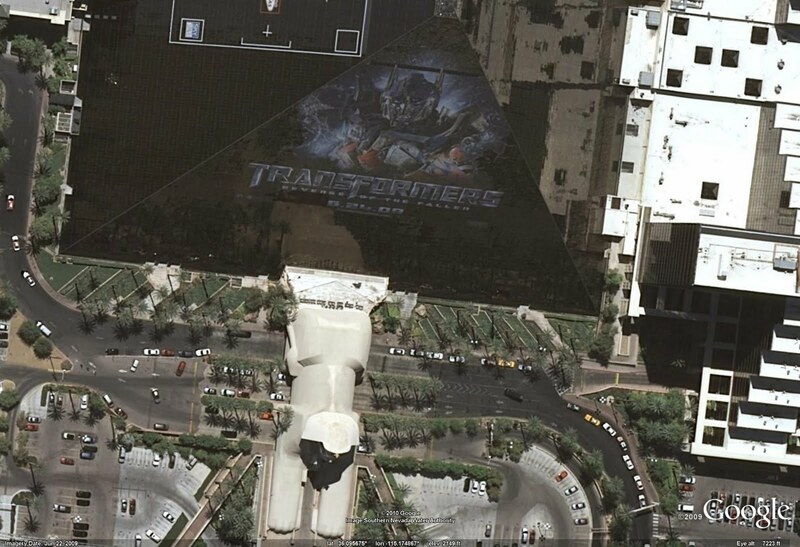 Des concepts comme l’imagerie par satellite et Street View nous ont également été utiles pour concevoir une carte de base riche et complète. Vous remarquerez certains changements, comme la possibilité de consulter une carte précise de votre alma mater, mais l’aspect visuel et la navigation de Google Maps demeureront assez semblables à ce à quoi vous êtes habitué. L’un des plus importants changements est la possibilité de nous faire parvenir directement votre rétroaction au sujet de notre carte du Canada. Par exemple, si un nouveau parc a été aménagé dans votre quartier, vous pouvez alors cliquer sur le lien «Signaler un problème», au coin inférieur droit de la carte, afin de nous transmettre directement vos mises à jour et vos commentaires. Nous examinerons votre rétroaction dans les plus brefs délais et nous vous tiendrons au courant du progrès de votre demande. Nous désirons mettre au point une carte la plus actuelle possible qui répond à vos besoins, et nous croyons que ces changements nous aideront à atteindre cet objectif. 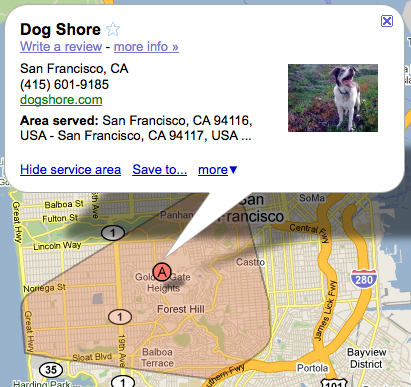 For now, browsing a location in Street View will show the top listings for that immediate area. We will be extending this coverage soon to include more businesses and also transit locations. Don’t forget, if you see a business annotation which is not quite aligned with its location in Street View, you can easily move the marker and place it in its correct location. The weather in San Francisco is supposed to be great tonight, so I think I’m going to start searching for a dessert spot with nice outdoor seating. It probably comes as no surprise that I spend a lot of time using Street View - it’s my job, after all. But sometimes I get so immersed in my exploration that I take all sorts of detours and side trips and find myself in completely unfamiliar areas that I want to learn more about. 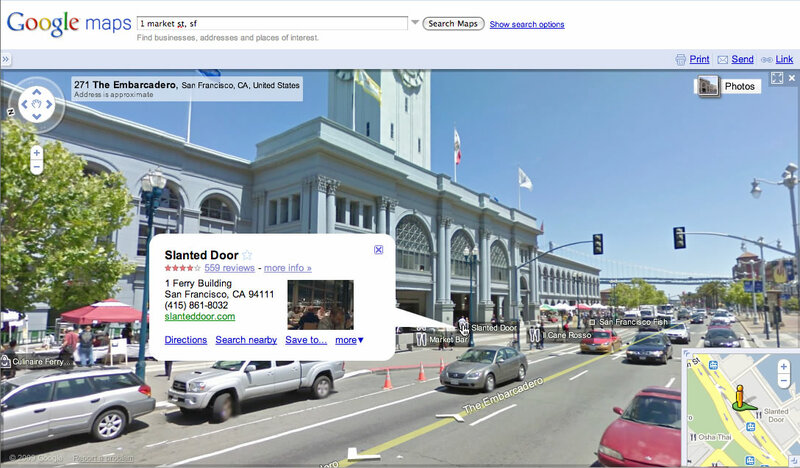 I have a feeling many of you are also interested in having a better way to find out more about what you’re seeing in Street View, so I’ve been working with my teammates to help improve the discoverability of content in Street View. 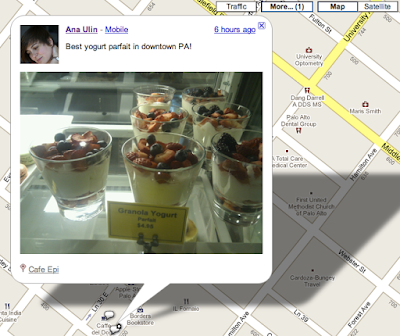 Our new release of local businesses annotations in Street View is the first step down this path. Browse around in your neighborhood for nearby restaurants and shops, or use it to see what else is nearby your dinner spot (you can usually catch me looking around for tasty dessert options). When you’re touring in Street View and see a business that piques your itnerest, now you can find a clickable icon that will take you to the business listing where you can find out the name, hours, read reviews, and more. : Here you can learn more about managing your business listing on Google, new features and how to report problems. This includes a revamped user guide, support channels, and more. We’ve also made the new Help Center more interactive by adding a guided tour of the Place Page. Place Pages connect you to the best information about almost every place type of in the world. The Place Page overview is a fun and easy way to learn about all the different parts of the page and if you’re a business owner, you can find out how you can add content to your business’ Place Page. Feedback for Google Places: Post your burning questions and awesome ideas to our new Google Moderator page. After you post, take a look at what other people are posting, and vote up the ideas you like the most. We'll keep the page open until May 21, 2010, and then our team will review the top questions and record video responses that we’ll post in our Help Center. Google Places Help Forum: Discuss with other users how to improve your listing, newly announced features, or issues you’re encountering. We have dedicated volunteers known as “Top Contributors” who can help answer your questions and discuss your ideas. Google Employees will also be monitoring the forum to facilitate discussions in this forum and provide assistance when needed. Google Places Webinars: Sign up for our webinars to learn about a variety of topics ranging from “Adding a Listing” up to “Enhancing a Listing”. We’re excited about providing a learning environment that allows us to interact more closely with you, the business owner who all these tools are made for! If you can’t attend the webinars, don’t worry - we’ll post the videos on our YouTube Channel at youtube.com/googleplaces. You’ll find all these resources at google.com/support/places/. Google Places Help Center: Here you can learn more about managing your business listing on Google, new features and how to report problems. This includes a revamped user guide, support channels, and more. What’s that barcode in your Google Places account? - on the right side of your business’ dashboard page. If you have just one business listing, this is the page you’re automatically taken to when you log in. If you have multiple listings, click “View report” to get to this page. Add it to the back of business cards: Lots of you are already giving away business cards to your customers. Adding a QR code lets you add a lot more information, virtually, with your Place Page, and allows you to change information like discounts & real-time updates about your business without changing the card itself. Add it to marketing materials: If you’re running an ad, putting out a pamphlet, or handing out flyers, add a QR code to the corner. We’re using QR codes in a series of new testimonials about Google Places, for example. (Make sure to keep some white space around the QR code to allow for proper scanning). Put it in your window: If you’ve got a poster, a menu, or anything else in your window, a QR code lets customers remember you by scanning the code and saving your business as a personal favorite. We’ve got a sample poster with your unique code already on it, which is ready to print from your dashboard page. To download your QR code, right click to save the image from the right side of your dashboard page. If you manage a Google Places account for your business in the U.S., you’ll now find a two-dimensional barcode - known as a QR code - on the right side of your business’ dashboard page. If you have just one business listing, this is the page you’re automatically taken to when you log in. If you have multiple listings, click “View report” to get to this page. Where? It might be one small word but the answer to that question can really prove decisive. ‘Quick! The volcano has erupted again and my flight’s cancelled, where is the nearest train station?’ or ‘Where’s the best place to get a decent coffee round here?’ I’m always happy to help, but nowadays these questions can often be answered by firing up your smartphone. The key to knowing where you should go is knowing where you are starting -- my recommendation for the best local cafe depends on whether you ask me when I’m at my office or across town near my house. So it’s no surprise that geolocation services are becoming more popular with people than ever before, and that many companies are adding locations functions to respond to this demand and improve the services they offer their users. For example, Twitter allows users to geotag their tweets. Everyday, millions of twitter.com users on a desktop computer or mobile phone choose to do this. Knowing that someone is posting from Bangkok as opposed to Manchester gives followers an important perspective when they read a tweet about ‘red shirts all over the city.’ On smartphones like iPhone, Palm, and Android devices, services such as Google Maps for mobile, Yelp, and Urbanspoon use location to provide relevant local search results, while apps like Foursquare and Google Latitude let you find your friends on a Friday night. However, a database of known network locations is required for both cellular and Wi-Fi triangulation. Companies like Skyhook Wireless compile such databases which are used by many in the industry. Intel has promoted the use of Wi-Fi for “location aware computing” through projects such as its Location Technologies SDK. Google has contributed by creating its “My Location” API, which relies on a database of locations collected by Google Maps for mobile as well as by our Street View cars, which catalog the location of Wi-Fi access points (the public “beacon” part described above) at the same time as they are collecting Street View imagery and 3D laser scans of buildings. Google has also worked to help even notebooks and tablets find out their location in Chrome and Firefox through the W3C Geolocation API. 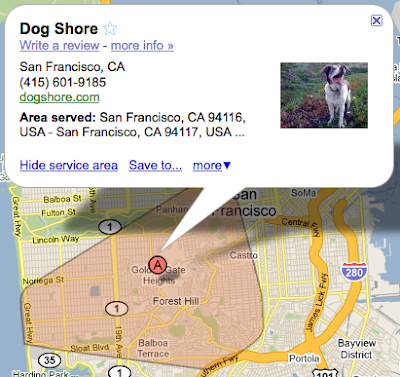 Location is clearly going to be a big part of the web going forward. It helps bring the power of the Internet to improve the real, everyday things we need to do. With location-enhanced searches on smart phones, mobile PCs and tablets, we can just do them faster and smarter. As a team based in our Zürich office, we understand the importance of getting information that is locally relevant. We've built this knowledge into Suggest for Google Maps so that you get the most useful suggestions depending on where you're zoomed into on the map. 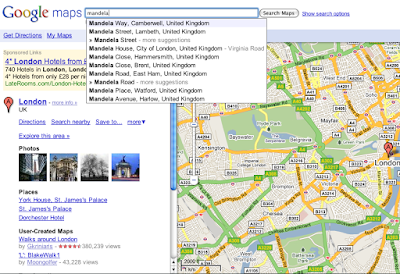 For example, if you search for "Mandela" in San Francisco, you'll see items such as Mandela High School and businesses in nearby Oakland. 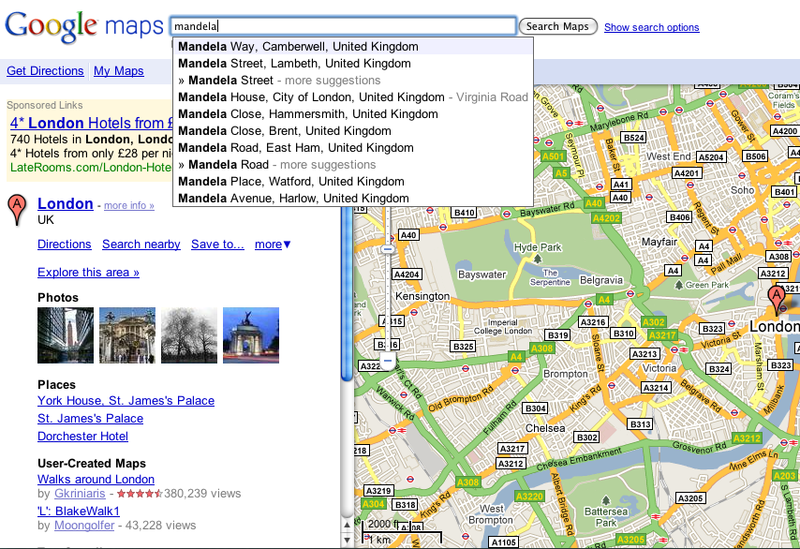 The search suggestions in Google Maps also include additional information, such as the address of the business or the district that a place is in. This extra information helps you find and select the exact business or location you're seeking. If you’re signed into your Google account and have web history enabled, you can also see your personalized suggestions, which based on your own past searches. As of today, you can get suggestions if you're using Google Maps in China, Brazil, Canada, Czech Republic, France, Germany, Hong Kong, Italy, Netherlands, Russia, Spain, Taiwan, United States, United Kingdom, and we're looking to bringing this functionality to all our users around the world soon. and mentioned that we’re now starting a pilot project in select cities worldwide to take photographs of business interiors. When customers are searching for the right local business, the setting, facilities, ambiance, merchandise, layout, or decor can be important factors in choosing where to go. If you want to find the perfect romantic restaurant for your anniversary dinner, you’ll want to find a place that has the right atmosphere. Or if you need to find a new gym, you’ll probably want to see what sort of equipment and amenities they offer. Place Pages currently feature images from business owners and third-party sources, but we wanted to supplement those with additional photos taken by Google photographers to provide consumers with more ways to get a sense of what awaits them when they step through the door of a business. Google is currently running a trial of this business photos project in approximately 30 cities across the US, Australia, and Japan. If you’d like your business to be considered for a visit from Google’s photographers, you can learn more and express your interest at http://maps.google.com/businessphotos. Right now we’re focusing on businesses like restaurants, cafes, hotels, spas, salons, gyms, and retail stores, but all are welcome to apply. Even though we’ll only be able to take pictures of a portion of those who apply due to the high demand, any business owner around the world can easily upload their own photographs and videos to their Place Page by logging in to Google Places. Just as you can't judge a book by its cover, you can't always judge a business by its exterior appearance. Yesterday we introduced Google Places and mentioned that we’re now starting a pilot project in select cities worldwide to take photographs of business interiors. a trial for a new and easy local advertising product through Google Places (the new name for the Local Business Center), that we referred to as “enhanced listings.” This flat-fee advertising feature costs $25 a month and enables a business owner to highlight an aspect of their listing that they think best reflects what they have to offer to customers. The little yellow tag accompanies the business listing whenever it shows up on Google and makes it stand out from the rest (without impacting its ranking in organic search results). 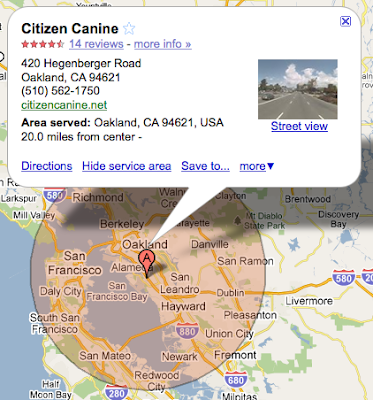 As the Local Business Center is now Google Places, enhanced listings are now called Tags. We think the new name better reflects the idea of adding a personalized line to a business listing. Originally offered in San Jose and Houston, Tags is now available in Atlanta, Austin, and Washington DC as well. Over the next couple of weeks we will add San Diego, Seattle, Boulder, Chicago, and San Francisco. You can fill out this form to be notified when Tags comes to your area. We’ll soon be offering a new type of Tag called “Posts.” Google Places recently introduced the ability to post to the Place Page, giving a business owner a way to enter a short, current, free-form message about their business that customers will see when they visit the business’ Place Page. In the next couple of weeks we will be launching these Posts as a Tag type in addition to the currently available options: photos, videos, website, coupons, directions, menu or reservations. A business will be able to highlight something special happening at their store - a sale, an upcoming event, or freshly baked banana bread. Potential customers will see this message as an extra line under the business listing in search results, giving them customized relevant information and inviting them to choose that store. We hope you enjoy these additions to Tags. To learn more and try it out, please visit www.google.com/help/tags. A couple of months ago we announced a trial for a new and easy local advertising product through Google Places (the new name for the Local Business Center), that we referred to as “enhanced listings.” This flat-fee advertising feature costs $25 a month and enables a business owner to highlight an aspect of their listing that they think best reflects what they have to offer to customers. The little yellow tag accompanies the business listing whenever it shows up on Google and makes it stand out from the rest (without impacting its ranking in organic search results). to specify a service area -- that is, where they’re willing to travel to do business. If you operate one of these types of businesses, you can set a service area for a listing in your Google Places account quickly and easily. If you have a limit to how far away you’re willing to travel, you can set your service area as a circle around a specific location. If you have a particular list of places where you work, you can list your areas served (by zip codes, cities, counties, or even neighborhoods). Not all businesses serve their customers from a brick-and-mortar storefront. Folks like photographers, piano tuners, and plumbers tend to travel around town to provide their services, and may operate from home. To better connect with all the customers they serve, these businesses can now use Google Places to specify a service area -- that is, where they’re willing to travel to do business. 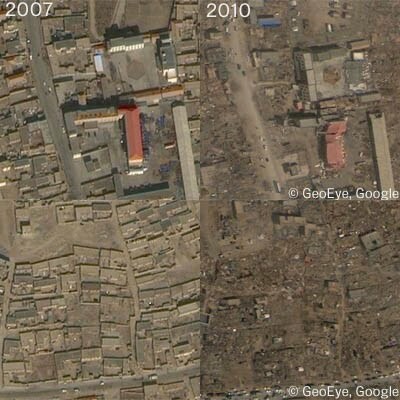 shook the province of Qinghai, China, resulting in widespread destruction and the loss of more than 1,700 lives. 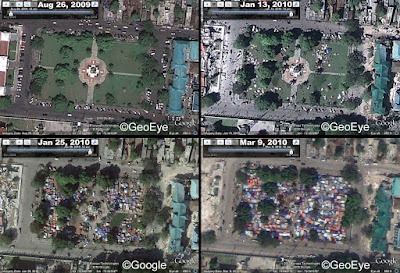 Working closely with GeoEye, we’ve been able to acquire some high resolution post-earthquake imagery, which vividly illustrates the magnitude of this tragic event. 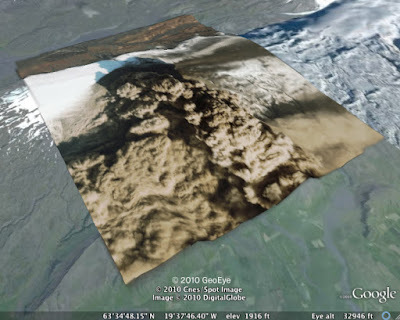 To see more of this imagery, you can download the KML here and open it in Google Earth. The China Person Finder tool, which can be used to submit or search for information about individuals who may have been affected. It is available in Simplified Chinese, Traditional Chinese and English, and is accessible on mobile. We encourage organizations and media sites to embed the gadget on their sites and help spread the word. Google News and real-time search, which features posts to Twitter and other sources. 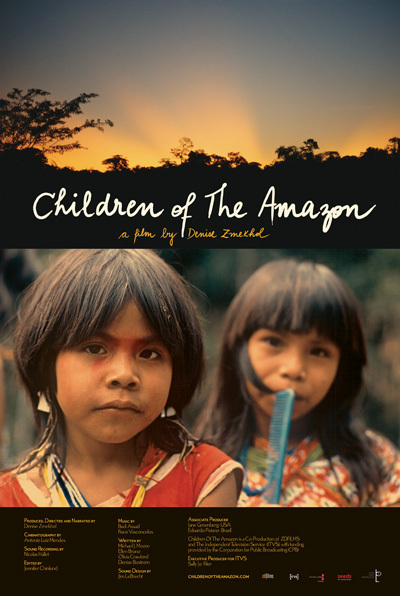 This provides the latest information from authoritative sources and people on the ground. A My Map to help users contribute data about Qinghai, such as the conditions in specific areas and rescue efforts underway. The Chinese version of this page can be accessed from a link on our homepages on google.com.hk and google.com.tw, and we will continue to update the pages as more materials become available. On Tuesday, April 13, a powerful 6.9 earthquake shook the province of Qinghai, China, resulting in widespread destruction and the loss of more than 1,700 lives. 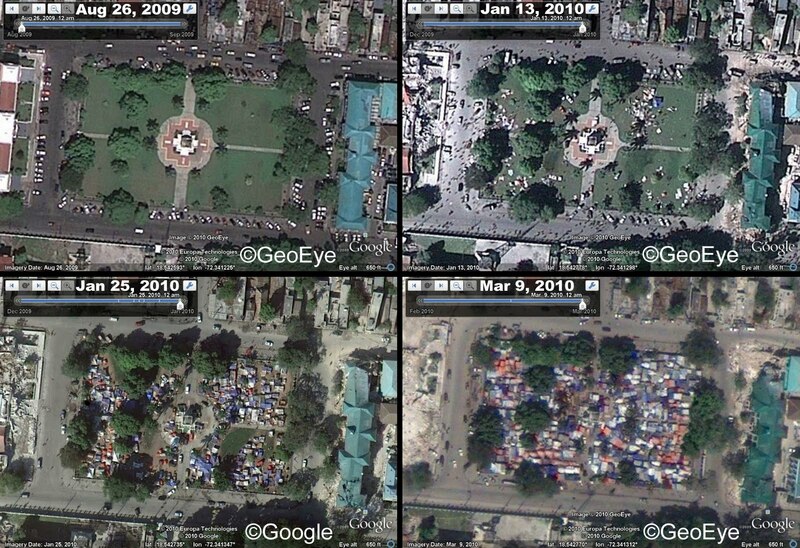 Working closely with GeoEye, we’ve been able to acquire some high resolution post-earthquake imagery, which vividly illustrates the magnitude of this tragic event. volcano in Iceland - around 1000 miles from London. No flights are allowed in or out and this will remain the case until at least Friday afternoon. Friends elsewhere around the world were asking me to describe what it was like, but conditions are relatively clear where I am so even I couldn't fully understand or explain the scope. Of course, I naturally turned to satellite imagery to get a better sense of the situation. The NASA MODIS Rapid Response system collected an image earlier this afternoon showing the eruption site sending a huge plume of ash up into the atmosphere towards Europe - and major airways used by thousands of aircraft each day. 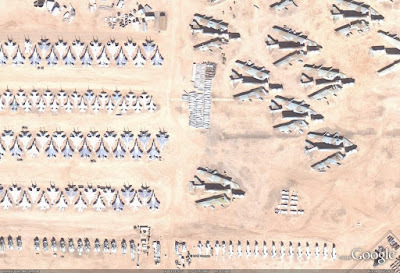 This image has been made available for download in Google Earth, which you can see by clicking on this KML file. We're also closely following the aftermath of the devastating earthquake in Qinghai, China and are currently working to acquire and publish imagery. We will share it on this blog as soon as it becomes available; in the meantime please visit our Crisis Response page for the earthquake. Today, the skies above my home in England are noticeably empty. 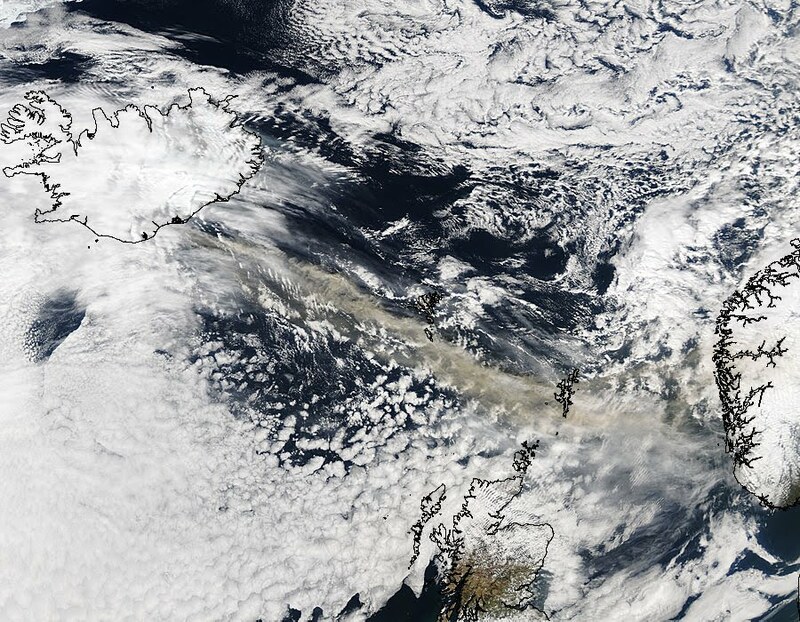 The UK air traffic authorities and many others across Europe have closed the airspace due to safety fears from an enormous ash cloud originating from the eruption of the Eyjafjallajoekull volcano in Iceland - around 1000 miles from London. No flights are allowed in or out and this will remain the case until at least Friday afternoon. community have always told us that the biggest milestone after launching maps for their countries is adding driving directions. A few months ago we launched driving directions in 18 countries in Eastern Europe and Asia-Pacific. We have now enabled directions in 111 new countries and territories across the globe. So, whether you find yourself in Lima, Peru or visiting Iceland or driving from Johannesburg to Nairobi, you can now use Google Maps to find out how to get around. Algeria, American Samoa, Angola, Anguilla, Antigua and Barbuda, Armenia, Aruba, Azerbaijan, Bahamas, Bahrain, Barbados, Belize, Benin, Bermuda, Bhutan, Bolivia, Botswana, British Virgin Islands, Burkina Faso, Burundi, Cameroon, Cape Verde, Cayman Islands, Central African Republic, Chad, Comoros, Congo, Cook Islands, Costa Rica, Cote d'Ivoire, Democratic Republic of the Congo, Djibouti, Dominica, Dominican Republic, El Salvador, Equatorial Guinea, Eritrea, Ethiopia, Faroe Islands, Fiji, French Guiana, Gabon, Gambia, Ghana, Greenland, Grenada, Guadeloupe, Guinea, Guinea-Bissau, Guyana, Haiti, Iceland, Iran, Jamaica, Kyrgyzstan, Laos, Liberia, Libya, Madagascar, Malawi, Maldives, Mali, Malta, Marshall Islands, Martinique, Mauritania, Mauritius, Mayotte, Montserrat, Morocco, Mozambique, Namibia, Netherlands Antilles, Niger, Nigeria, Niue, Northern Mariana Islands, Palau, Papua New Guinea, Paraguay, Peru, Qatar, Reunion, Rwanda, Saint Lucia, Saint Vincent and the Grenadines, Samoa, Sao Tome and Principe, Senegal, Seychelles, Sierra Leone, Solomon Islands, Somalia, Sudan, Suriname, Swaziland, Tajikistan, Tanzania, Timor-Leste, Togo, Tonga, Tunisia, Turkmenistan, Turks and Caicos Islands, Uganda, Uzbekistan, Vanuatu, Wallis and Futuna, Western Sahara, Zambia and Zimbabwe. Do give it a try and tell us what you think on Map Your World Community. 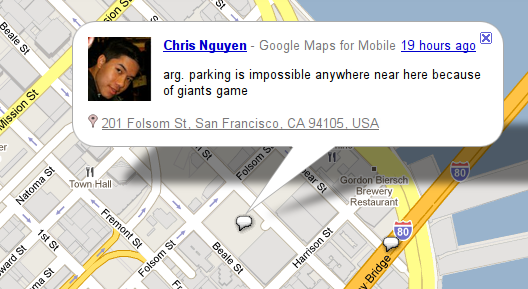 If you find something that is missing or not otherwise quite right, you can always map it at www.google.com/mapmaker. Members of our Google Map Maker community have always told us that the biggest milestone after launching maps for their countries is adding driving directions. A few months ago we launched driving directions in 18 countries in Eastern Europe and Asia-Pacific. We have now enabled directions in 111 new countries and territories across the globe. In January 2009, NYC & Company, the official marketing, tourism and partnership organization of New York City, launched nycgo.com and opened an information center that makes it easier for visitors and residents to explore all the vibrancy, excitement and diversity of New York City's five boroughs. Mirroring the integrated Google Maps on the website, our highly interactive Official NYC Information Center in Midtown Manhattan includes Google Maps–based Interactive Map Tables where you can plan your visit and a beautiful Video Wall featuring 3D imagery of New York City in Google Earth that lets you “fly” through your selected itinerary. Since we opened our doors, thousands of tourists have virtually explored New York in our center before venturing out on their own. When Google let us know that they would be releasing new, high-quality 3D imagery of New York City, we were excited to help spread the word. The new imagery will be an amazing improvement to our already-stunning Video Wall and will help us to reach our goals in making New York City more accessible to visitors and residents alike. The detail at the street level, as you’ll see in the video below, makes it easier than ever to virtually experience our variety of cultural institutions, storefronts and residential and commercial buildings. We invite you to come by the Information Center to see for yourself, or to power up Google Earth and explore the Big Apple from your desktop or phone. and around 20 fossil deposits. With the help of the navigation facility and high-resolution satellite imagery in Google Earth, Professor Berger went on to find almost 500 previously unidentified caves and fossil sites, even though the area is one of the most explored in Africa. One of these fossil sites yielded the remarkable discovery of a new species, Australopithecus sediba. 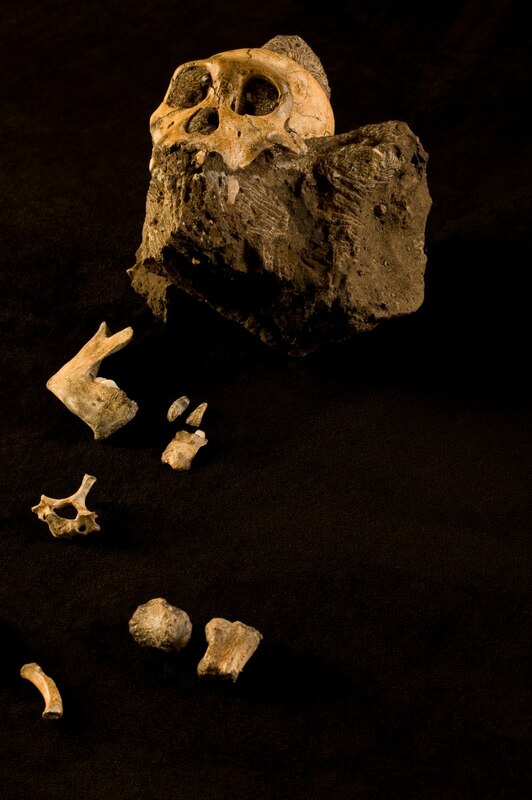 This species was an upright walker that shared many physical traits with the earliest known species of the genus homo—and its introduction into the fossil record might answer some key questions about our earliest ancestry in Africa. Last year, we launched Ocean in Google Earth, expanding the scope of Earth to include 3D maps of the world’s oceans and videos, photos and narrative from the world’s leading scientists and media sources to bring them to life. 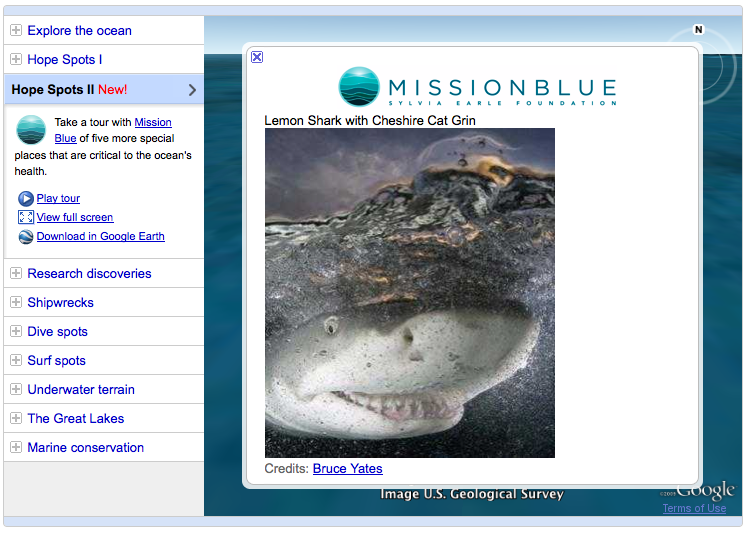 We worked with more than 100 partners to begin to fill in the “blue” part of the planet, adding hundreds of placemarks in more than 20 ocean layers. Since then, we’ve added hundreds of new posts to the Ocean layer with the help of Sylvia Earle’s Mission Blue Foundation and dozens of committed individuals around the world. The posts come from a diverse range of partners including National Geographic, independent videographers and dive enthusiasts, government organizations like the National Oceanographic and Atmospheric Administration (NOAA) and international organizations like the International Union for Conservation of Nature (IUCN). Soon after last year’s launch, Sylvia asked attendees at the TED conference to help her realize a wish: to create a series of marine protected areas she calls Hope Spots. 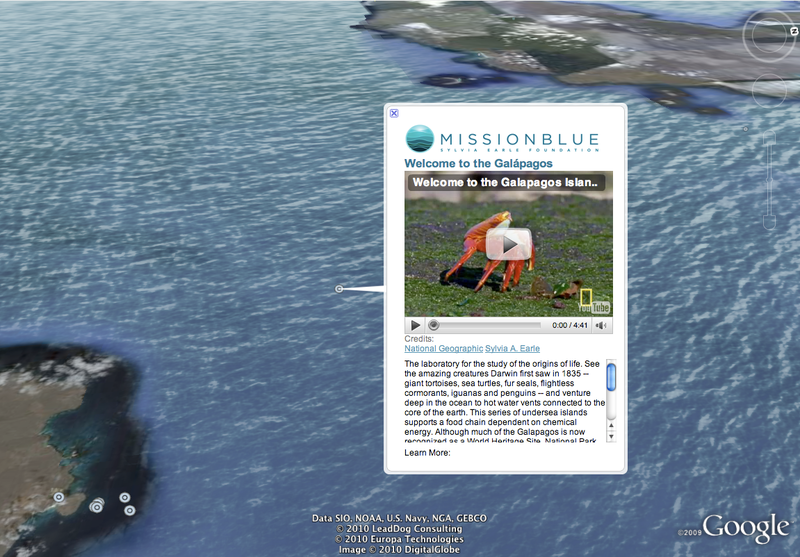 Sylvia and a group of influential thinkers are now on a Mission Blue Voyage to the Galapagos Islands to brainstorm how they might best achieve better ocean protection. You can follow them on their journey by visiting the the Mission Blue Foundation website and on Twitter at @MissionBlue. There you can learn more about the launch of their Hope Spots initiative and visit all 18 of these spots using the Google Earth plugin. We’ve also created a narrated tour featured in the Ocean Showcase to introduce you to eight of the regions proposed for protection: the Eastern Pacific Seascape including the Galapagos Islands, the Gulf of California, the Mesoamerican Reef in the Caribbean including Belize, the Sargasso Sea in the mid-Atlantic, the Chagos Archipelago in the Indian Ocean, the Coral Triangle, the Ross Sea in the Antarctic and Gakkel Ridge in the Arctic. We’d also like to take a moment to thank the partners who have helped us improve our 3D canvas of the world’s oceans in the past year: NOAA (global coverage), MBARI (Monterey Bay Canyon), The California State University at Monterey Bay (California Coast), The Center for Coastal and Ocean Mapping - Joint Hydrographic Center at the University of New Hampshire (Arctic) and The Living Oceans Society (British Columbia and Canada). 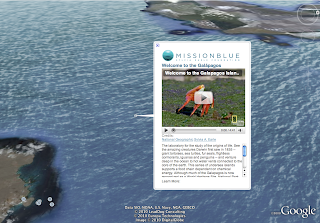 As Earth Day approaches, we hope you’ll take a little time to explore the planet, including the blue part.